Things have become worse not better in the weeks since the May 20th timetable change. Our service is significantly below what it was before the new timetable, which was meant to double capacity. The reality is that trains on the edges of those gaps are also being cancelled literally at the last minute. The apps all give different information and the rail replacement buses are unpredictable. Trains from London to Royston are packed to the gills, prompting questions on health and safety. Ditto the hazardous cycle commute to Royston Station for those who have no other option. There’s an obvious widespread financial impact on businesses local to our area who have lost staff and clientele, and businesses of people living here who travel for work along the Cambridge-London corridor: meetings missed, perennial late arrival to work, extended childcare costs, contracts lost, etc. Student exams have taken place throughout this period so parents have been scrambling to arrange alternative transport. There’s also an obvious impact on people’s general health with greatly extended amounts of time spent commuting in stressful conditions. Some people have expressed concern that experienced, hardworking and public-facing rail industry staff will at some point become fed up and consider their options. One couldn’t help notice that the GTR and Network Rail attendees at the Rail User Group on 27 June, the ones who fielded the difficult questions, were not those in positions of authority. Why is the peak time train back from London only 4 carriages to Royston? Answer: we’ve split the 12-car into three lots so it can be deployed in different areas. Never mind the dangerous overcrowding (with lack of air conditioning) that results. Why were the key morning peak trains cancelled this morning? Answer: Because of ‘stock displacement’ on Sunday. The Meldreth, Shepreth and Foxton Rail User Group can’t fix things but can and must help ensure our voice is heard: it’s imperative that no one considers our small stations expendable in any way shape or form. If you can stand it, please do keep writing to us, and copying us to your emails (railusergroup@gmail.com). 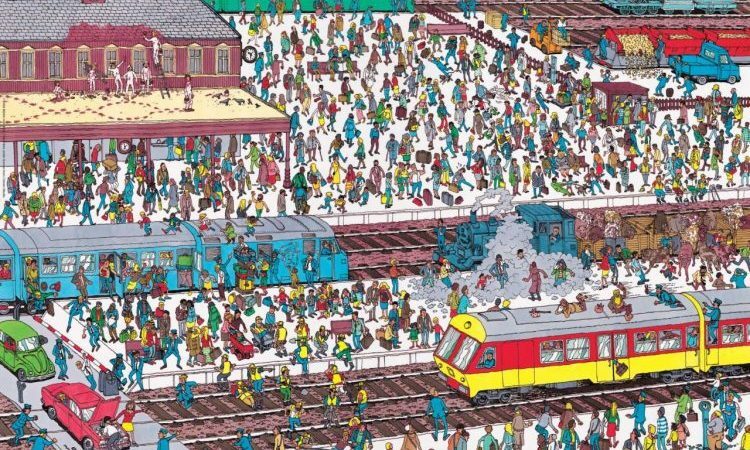 We are emailing everything on to our MP Heidi Allen, Govia Thameslink Railway, Network Rail and the Transport Secretary, also known as Where’s Wally. You can find our collated feedback and other reports here. On the most local level, we must thank Bern Parsons the Meldreth Station Master who’s doing a phenomenal job issuing the most up-to-date information available (and known lack of information, which now counts as information) via the Meldreth Shepreth Foxton Rail Facebook page – it’s the best first place to look every morning if you want to know what’s happening. Bern also arranges taxis for stranded passengers. There’s plenty of space to park if passengers using Shepreth and Foxton Stations are looking for a station manned by a helpful human being (weekdays until 11:15, Saturdays till 13:15). Parking is £1.50 per day and apparently only checked by the contractor one day a week, so says someone in the know! And while the Meldreth Station car park is now nearly empty, a small army of dedicated volunteers is working through the 2018 summer drought to keep the garden tidy, platform tubs watered, water butts full, litter collected, and so on: our thanks to the three teenage volunteers, our year-round gardening team, and Allerton Terrace residents and the Spice Hut who’ve provided watering backup. The same situation is replicated at Shepreth and Foxton Stations, where the tubs have never looked better and volunteers, including Duke of Edinburgh students, are hoisting watering cans up and down elongated platforms and ensuring the water butts are magically replenished. If the Department for Transport can’t oversee a proper train service, at least we can show without a doubt that our local stations can look after themselves. Finally, when will things get better? Answer: wish we knew.